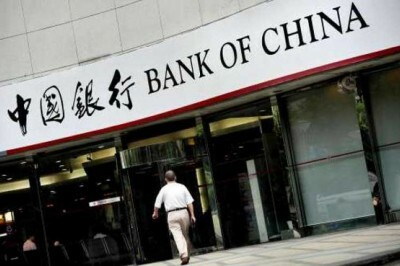 On January 21st, 2017, the Bank of China has officially opened its regional branch headquarters in Serbian capital Belgrade, to provide banking services for cooperation in investments, trade, tourism and other fields, for countries in the region – Serbia, Rumania, Bulgaria, Greece, Albania, Macedonia, Montenegro, Bosnia and Herzegovina and others. The ceremony was held in the Government`s Palace and attended by President of the Republic Tomislav Nikolic and members of the Government. This important development follows last June`s state visit of the President of the Republic of China Xi Jinping to Serbia and also, his talks last week with Serbian Prime Minister Aleksandar Vucic at Davos Economic Summit in Switzerland. Establishment of the Bank of China`s regional headquarters in Belgrade, is today the main news in all major medias in Serbia and beyond. This morning I commented this event at the private regional network “TV Pink”. Among other, I noted that cooperation under OBOR, as the global initiative, is not important only for development of CEE countries, but for the whole of Europe. Through win win OBOR cooperation Europe and China are getting closer, what is equally positive form economic, cultural and political point of view, particularly now when EU is passing through serious difficulties. Serbia`s role in the implementation of the China – CEE cooperation under OBOR is growing. Two countries are strategic partners cooperating in various fields. In the past five years only, partners from the two countries have been constructing or modernizing roads, highways, railways, ports, bridges, tunnels, thermo-electric plant, steelwork factory, strengthening people to people exchange. As of 1st January this year, no-visa system for citizens of the two countries came into force. A number of infrastructure projects, already implemented, or under implementation in Serbia, are highly important for modernization of connectivity in the CEE region, or in Europe. Cooperation under CEE-OBOR has proved to be very important for Serbia`s overall economic development, modernization of industry and infrastructure and improvement of international standing.